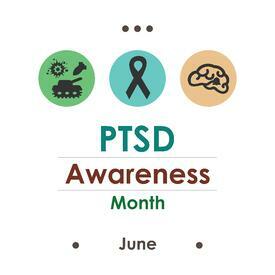 June is PTSD Awareness Month. With Independence Day approaching, it's worth speaking out about one of the main causes of sleep disorders for veterans coming home from combat: Post Traumatic Stress Disorder (PTSD). Poor sleep is a serious problem for our returning soldiers. Let's take a closer look at why sleep is such a struggle for them. 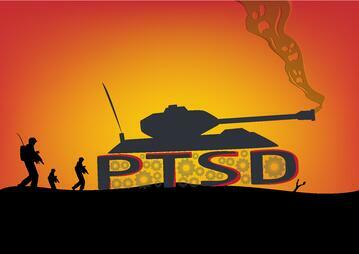 Anyone who has ever experienced a severely traumatic or life-threatening encounter can develop PTSD. During such encounters, those who suffer from PTSD often feel that, in those moments, their lives or the lives of others were in danger and that they had little control over the outcome. They may have witnessed injury, violence, death, or experienced physical harm themselves. Symptoms of PTSD include flashbacks of terrifying events, recurring nightmares, insomnia, sleep fragmentation, daytime sleepiness, loss of interest in daily activities, underlying feelings of anger or frustration, emotional numbness, paranoia, and generalized anxiety. It's normal to experience some of these symptoms after experiencing trauma, but when they persist and disrupt daily life, they suggest PTSD as a potential diagnosis. Researchers are searching for clarity. A Journal of Clinical Sleep Medicine (JCSM) study referenced in a 2015 article in The Atlantic suggests that PTSD may actually not be the only accurate way to describe the problems with sleep that haunt those who've seen combat. Instead, these new studies point to a different kind of sleep disorder—trauma-associated sleep disorder (TSD)—as being a more accurate description of what is happening to many of our soldiers. With TSD, half of its sufferers don't encounter the same daytime flashbacks and emotional reactions to triggers to traumatic events that those with PTSD endure. People with TSD may also be diagnosed (or misdiagnosed) with REM Behavior Disorder (RBD), a sleep disorder in which the sufferer physically acts out dreams during REM sleep. This acting out of dreams shouldn't occur: in healthy sleepers, the body's muscles from the chin down are typically paralyzed during sleep (except for the heart and diaphragm). However, the JCSM study notes specific clinically important differences between someone with PTSD and someone with RBD that are worth examining further. For instance, RBD does not typically occur in young men, who comprise the largest group of combat veterans. More research needs to be done. There are other pieces to the PTSD puzzle that need closer examination, however. For soldiers, sleep problems may also be the result of sustaining traumatic brain injuries (TBIs), and they can also be symptomatic of a similar acute condition called combat fatigue. We all recognize the more common term for TBI as concussion. It's no surprise that many soldiers return home after having suffered more than one concussion, caused by a sudden blow or jolt to the head or the impact of an accident, fall, or blast. In any of these situations, the brain can be shaken inside the skull even when there is no physical contact with the source of the jolt. Bruising, swelling, even bleeding can occur. A study published in Neurologic Clinics in 2012 points out that "insomnia, fatigue and sleepiness are the most frequent post-TBI sleep complaints," with other problems including depression, pain, and anxiety. What also occurs may not be something we can easily see: damage caused by a "shaken" brain to sensitive parts of the nervous system which foster sleep. 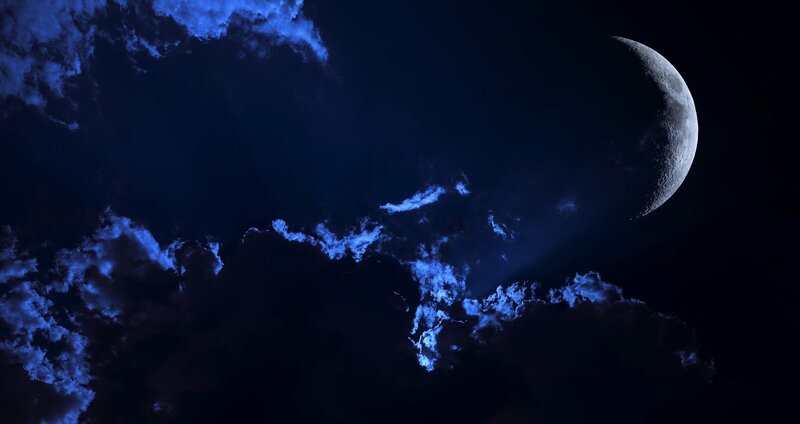 The result could be neurological problems of a "central" origin; that is, damaged signals between the brain and the rest of the body during sleep. One such problem is central sleep apnea, in which the nervous system fails to signal to the respiratory system to continue breathing during sleep. A study published in Frontiers of Psychiatry just last year established results that support "the existence of a neurobiological link between PTSD and sleep disturbances." 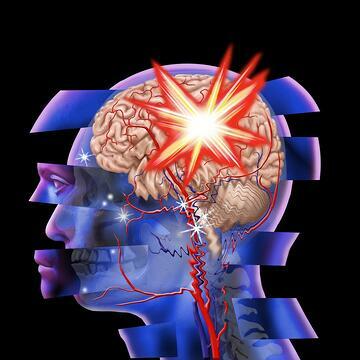 TBI in general can share many of the same symptoms as PTSD, and a person could suffer from both. The brain injury website, Brainline, asserts that sleep disorders are 3 times more common in people with brain injury than the general population and almost 2 out of 3 people with TBI will suffer from long-term sleeping problems. What is c ombat fatigue? Combat stress response (CSR) is the formal name for feelings of being "shell shocked" or having combat fatigue. Combat fatigue is not the same thing as PTSD, because it is specifically a short-term response to trauma which generally leads to symptoms that are similar to PTSD, such as feeling disconnected, unable to focus, and mentally exhausted. Anxiety, nightmares, and flashbacks are also part of combat fatigue. If the symptoms of combat fatigue persist for longer than a month, it's worth getting checked out for PTSD, as CSR is considered an acute (short term) psychiatric condition that should resolve by then. How does PTSD affect sleep? If you can imagine how stressful it must be to be vigilant, armed, fatigued, and anxious out in the combat zone for just a short time, think about how it must eventually impair you after having these kinds of encounters for months on end. Then they must come back to the US and try to get back to "normal life." It's not going to be easy. They remain on high alert. After months of living on guard, it is difficult to sleep with "both eyes shut." The need to remain alert to danger, even when it's not there anymore, is difficult to suppress in those with PTSD. The result? An inability to easily relax and fall asleep, or frequent awakenings due to the presence of noise or lights in the sleeping space (however slight). They process anxiety 24-7. This kind of hypervigilance is similar to those with anxiety-related insomnia: they can't shut down their racing thoughts. Worries and negative imagery are hard to let go after having to stay vigilant as a matter of survival. They also struggle with working inside a healthcare system that can be very stressful when it comes to getting the kind of care they need once they've returned. They often self medicate. It could be alcohol, marijuana, legitimate prescription drugs for sleep or for other health concerns, or other drugs (legal or not) used to feel less anxious. Substance abuse is a very big problem for those suffering from PTSD because, in the absence of support and therapy, this is frequently the only option many returning soldiers feel they can access for coping with their trauma. Any kind of substance can interfere with sleep, besides; it doesn't matter if it's legal or illegal. They have frequent nightmares. This is one of the most common problems with PTSD; it leads to sleep fragmentation, excessive daytime sleepiness, and, potentially, chronic insomnia and sleep deprivation, which only worsens any underlying emotional problems. The Veterans Administration (VA) website, Make the Connection, points out that "because prolonged nightmares can prevent you from getting enough sleep, other aspects of your life — such as your work and relationships — can be affected." They suffer other health issues. Soldiers may come back home with additional physical concerns related to pain, stomach problems, serious injuries. the loss of limbs or other body parts, chronic disease, and other stress-related disorders (mild to extreme) which can all make sleeping difficult. Adjust your sleeping space by making it more quiet, darker, more relaxing, and cooler. Avoid screens (handheld video games, smartphones, laptops, tablets, etc.) an hour before bed; they emit blue spectrum light that stops your brain from producing sleep-inducing melatonin. Avoid stimulating or disturbing media content right before bed (such as movies, television shows, radio programs, podcasts, even books); that hour right before you go to sleep should be filled with efforts to relax instead. Follow a relaxation protocol every night, which could include a warm shower, breathing exercises, listening to music, a massage, creative visualization, meditation, reciting mantras, or prayer. Avoid exercise, hot showers, heavy meals, alcohol, and caffeine at bedtime. Try to do something relaxing if you can't sleep, and don't allow yourself to become anxious if you can't sleep. You may find your rhythms are better served by going to bed a little later and sleeping later, which is perfectly normal. Participate in healthy activities during the day which can help improve nighttime sleep, such as morning exercise and time spent outside every day. Quit bad habits like smoking and drinking, and be mindful of what you are eating and when. Caffeine and high-fat foods can be especially detrimental to quality sleep. Avoid self medicating: As the VA website, Make the Connection, suggests, "some people try to prevent recurring nightmares by taking sleeping pills or drinking alcohol, but that can cause other problems and does not reduce the frequency of nightmares in the long term." Only take short naps if necessary, and don't take any naps after 3pm to avoid interference with circadian rhythms. When all else fails, a trip to your doctor is in order. Be thoughtful about the daily medications you already take and, if you have concerns, talk to both your pharmacist and physicians about sleep problems that might be caused by drug interactions. Keep in mind that medicines taken by th emselves may not impair sleep, but when taken together, they could interact in a way that negatively impacts your sleep. Counseling, especially cognitive behavior therapy (CBT), can help you reclaim feelings of control and has been shown to be the most effective way to treat both PTSD and insomnia. 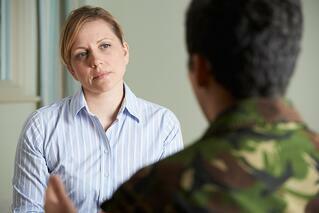 Medications for PTSD include antidepressants like fluoxetine (Prozac); these are most often prescribed to treat PTSD. Another drug, prazosin, a kind of adrenaline blocker, has been FDA approved for combat-related nightmares. Remember, nightmares are not a sign of weakness nor do they need be a source of suffering. Finally, find the support of others who are going through your particular struggles. This might be something offered through your local Veterans Administration services, hospital, religious organization, or community mental health system. It can be such a relief to share your stories about nightmares and anxiety at bedtime with others who are experiencing the exact same thing, if only to know you are not alone. Becoming part of a support system is critical to healing of any kind, and people within these groups can be some of the most effective advisers "from the trenches" you are ever likely to find. How many Kansas state veterans have PTSD? 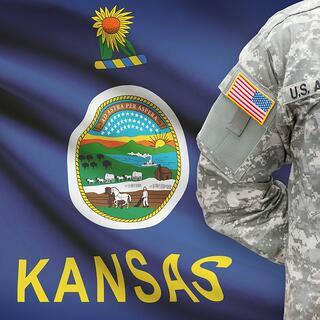 As of 2014, Kansas was home to over 77,000 veterans from the Gulf War alone. Anywhere from 12 to 20 percent of these soldiers are estimated to suffer from PTSD: that works out to at least 9,000 in our state alone. If you're a combat veteran and you're experiencing sleep problems that include insomnia, nightmares, anxiety, or reports of breathing pauses or unusual physical movements during sleep, you are encouraged to visit your doctor to have your concerns checked out. A sleep study at a local sleep center will help to rule out (or rule in) any undetected sleep disorders that may explain your problems or help to identify PTSD or other signs of trauma that need diagnosis and treatment. 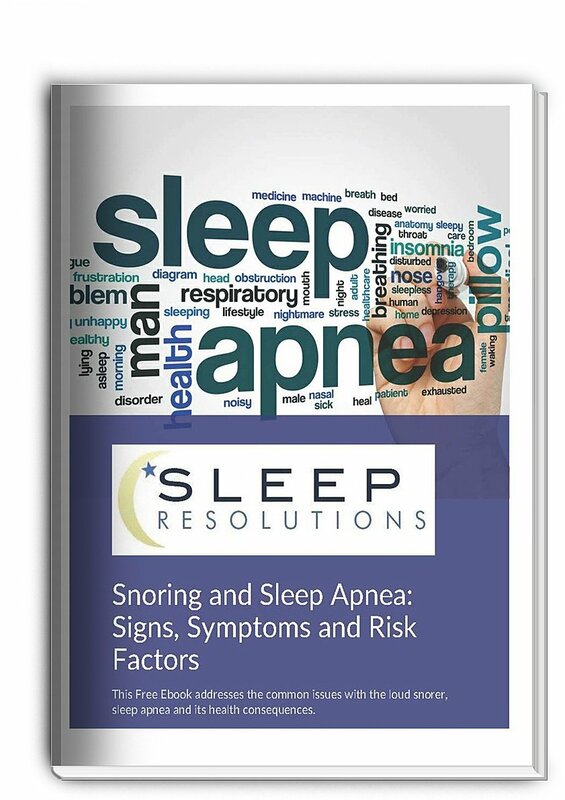 At Sleep Resolutions, we offer a full range of sleep tests to identify sleep breathing disorders and other sleep disorders with a neurological origin. Don't delay; ask your physician to refer you to us for a study to help get to the bottom of your sleeping problems so you can return to a normal, happy life.